(New York) – UN Secretary-General Antonio Guterres, received H.H. 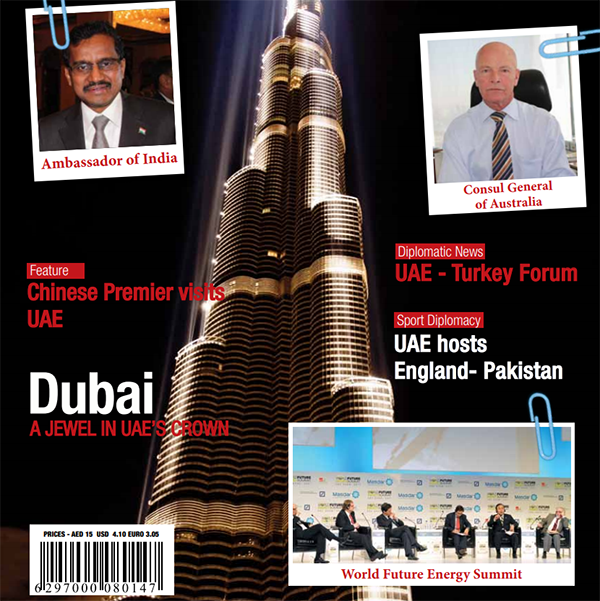 Sheikh Abdullah bin Zayed Al Nahyan, Minister of Foreign Affairs and International Cooperation, in New York. During the meeting, which took place on the sidelines of the 73rd session of the UN General Assembly, UNGA 73, the two sides reviewed regional developments, particularly in Yemen, Libya and Syria. Secretary-General Guterres praised the UAE’s role in humanitarian aid assistance, as well as its role played in the rapprochement between Eritrea and Ethiopia. Sheikh Abdullah bin Zayed affirmed the UAE’s keenness to continue building and strengthening partnerships with international bodies and institutions in the development and humanitarian sectors, as per the directives of the country’s leadership. In another meeting, Mar?a Fernanda Espinosa Garces, President-elect of UNGA 73, received His Highness on the sidelines of the General Assembly, where they discussed issues of mutual concern. 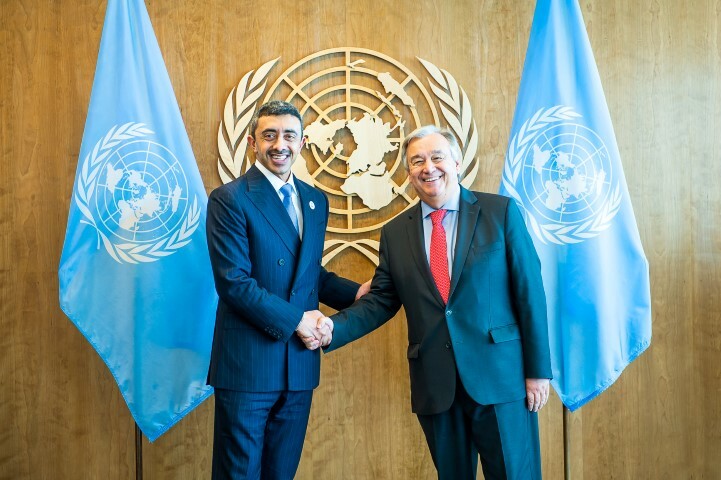 Sheikh Abdullah and Garces exchanged views on current developments and efforts to address pressing global challenges, especially those related to the UNGA’s agenda. At the end of the meeting, the two sides agreed to enhance joint coordination and cooperation efforts. Reem bint Ibrahim Al Hashemy, Minister of State for International Cooperation, Dr. Thani bin Ahmed Al-Zeyoudi, Minister of Climate Change and Environment, Dr. Sultan bin Ahmad Sultan Al Jaber, Minister of State, and Ambassador Lana Zaki Nusseibeh, UAE’s Permanent Representative to the United Nations in New York, were also present during the meetings.